​Getting the right data can be paramount to proper and safe vehicle repair. 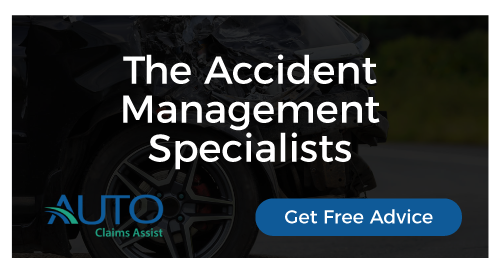 Just look at last year’s court case in Texas and subsequent verdict that found that previous vehicle repairs had deviated from OEM recommended repair procedures and thereby contributed to occupant injuries. – bad data led to a very bad outcome. This ruling may well have represented a watershed moment for our industry and presented an opportunity for every party in the collision repair ecosystem—OEM, insurance company, collision repairer and suppliers—to reevaluate what’s necessary to deliver proper and safe repair. Ultimately, we all have a stake in ensuring a vehicle has been properly repaired, that it is once again roadworthy, and that the vehicle owner can feel confident that it is safe for them and their passengers to occupy. Based on conversations with our customers and Mitchell Advisory Council members, I know proper and safe repairs are top of mind. And as a general manager of an organization that serves as an active participant in this ecosystem, the role we all play weighs heavily on my mind. It is my belief that one of the important things we can do as an industry to support collision repairers in delivering proper and safe repairs is to encourage open access to the most current data required to repair a vehicle to OEM standards. While it may seem obvious, accessing the appropriate repair data, when and where it is needed, is not always straightforward. As technology advances and onboard computers, sensors linked to vehicle safety systems, special materials, etc., are becoming more prevalent, repair procedures are becoming increasingly specialized and complex. There are more that 263 million vehicles on the road in the U.S. as of 2015, the last year for which numbers are available, and the definition of what constitutes proper and safe repair varies widely between every make, model and year. Current estimates indicate that a collision technician needs to reference more than 500,000 pages of repair information to correctly execute repairs today, up from just 5,000 pages a decade previous. It would be a tall order for even the most experienced repair technician to keep up with all of that information—and each new model year brings more. The good news is that almost every automotive manufacturer currently provides repair procedures for their vehicles, and those that don’t are well down the path of developing them. OEM repair procedures detail what is required to repair a damaged vehicle based on original manufacturer repair standards. They cover everything from critical safety issues like when and where a vehicle should be welded, as in the Texas case, to cosmetic issues such as painting instructions. By following repair procedures, collision repairers are better able to deliver proper and safe repairs, return the vehicle to pre-accident function and appearance while ensuring its roadworthiness. Having access to repair procedures is only the first step. In order for a repair shop to be able to incorporate them into their workflow, they need to be able to access them when and where they need them—essentially in context, while creating the estimate and doing the repair. Again, this is more complex than it seems. Often, when a collision repairer creates an estimate, they have to look up each repair procedure one-by-one outside of the estimating system and then modify the estimate based on what they find. That may mean going back-and-forth between multiple software systems and sorting through massive amounts of information that is not relevant to the current repair. This is time consuming, complex and potentially error prone. Here’s what’s needed: an open, secure, and cloud-based system that allows the most up-to-date repair procedures to be accessed by collision repairers so that they can quickly and accurately access just the information they need from within the estimating system. That information could then become an artifact within the system that then becomes a part of the vehicle’s repair record, encouraging transparency and accountability across the ecosystem. At Mitchell, we believe OEM repair procedures aren’t the only sticking point when it comes to proper and safe repairs. The average late model vehicle has 60 to 100 computer control modules and sensors, with that number growing to over 200 as cars become increasingly more complex. 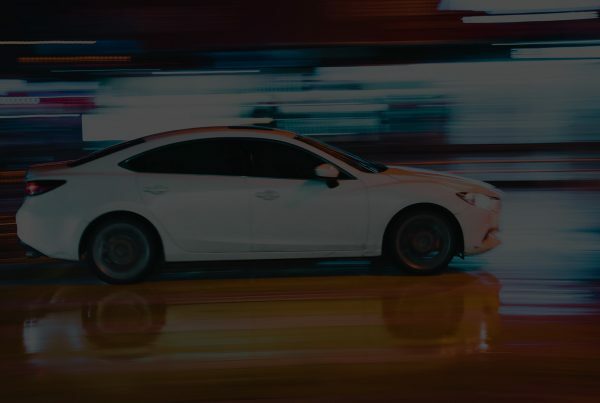 Many of these sensors directly link to safety systems—think backup cameras, blind spot detectors and occupant classification systems that use sensors to identify passengers who do not meet minimum weight requirements and prevent airbags from deploying. While sensors and control modules were not a part of the Texas lawsuit, ensuring they are properly calibrated is essential to proper and safe repair. The impact of a collision, even one that does not directly strike a sensor, could be enough to push the margin of error on a sensor calibration out of the tolerance zone. How serious is this? Think of it this way: an improperly calibrated backup camera or sensor could mean the difference between backing out of your driveway safely or backing into a pole, or worse yet, a person you didn’t see. Just recently I had my car in for routine maintenance. I thought it was running fine: it looked great, ran great and no dashboard lights indicated there was any cause for concern. Imagine my surprise when we plugged my car into Mitchell’s Diagnostics system and more than 30 diagnostic trouble codes fired. In my case, it was a low-voltage condition that activated the trouble codes. But consider this—a mere visual inspection of a vehicle is no longer enough. Whether post-accident or routine repair, when working on vehicles with advanced driver assistance systems and other electronic safety systems, the use of pre- and post-repair vehicle scans is an important part of ensuring a vehicle is safe to put back on the road. As I said at the beginning of this article, we all have a stake in ensuring a vehicle has been safely and properly repaired. Next PostCan you appeal against an FOS ombudsman’s decision ? FAQ’s say No…Judge says "Yes"